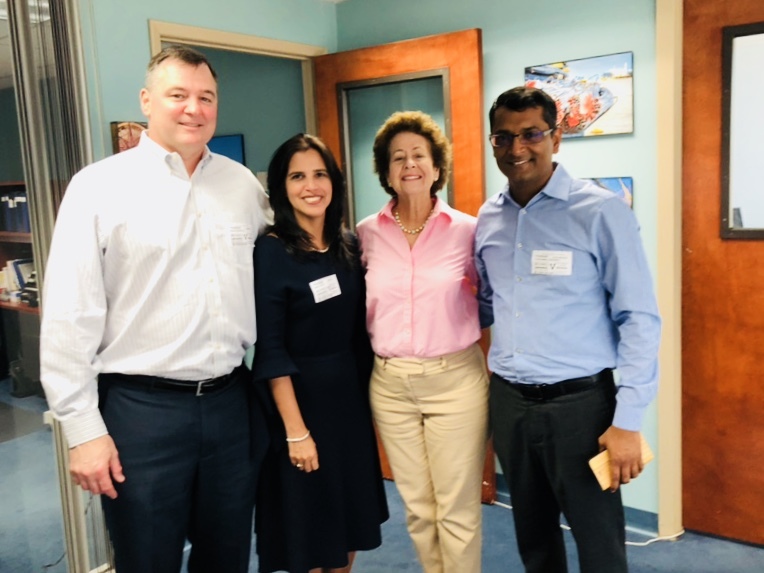 AECOM Ports leaders Diana Lopez, Vijay Agrawal and Philip Hadfield with PEA Executive Director Lori Baer. AECOM Ports Group is a longtime member of PEA and visited the office to discuss upcoming PEA programs. Ms. Lopez and Mr. Agrawal are based in South Florida. Mr. Hadfield was in town from AECOM Long Beach, CA.